Wherever the path leads, our graduates are well-equipped for success. Through curriculum themes of service, study abroad, internships, and research, we equip Ogden graduates with an education that prioritizes stepping outside of their comfort zone and welcoming new challenges. By the end of their four years, Ogden graduates are distinguished and well-versed in cultural competency, critical thinking, and the ability to answer the tough questions — all thanks to the Honors College experience. 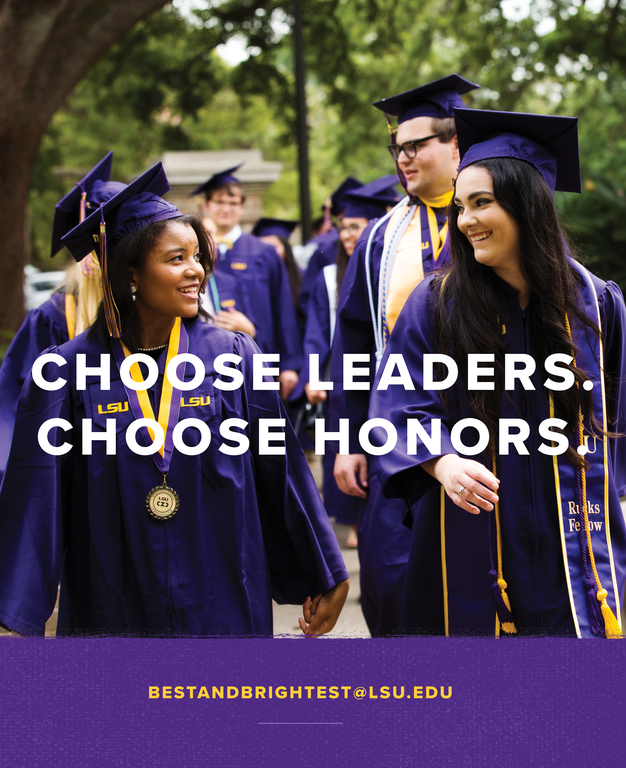 Want more information on how to connect with LSU's best and brightest? We are excited to tell you why Ogden Honors graduates are a great fit for your organization and how, together, we can develop a recruiting plan to suit your needs. Email bestandbrightest@lsu.edu for more information.